Here's my favorite song about Holidays - the late Dan Fogelberg's Same Old Auld Lang Syne. I posted this last year too, but I really love the song and the arrangement, so here it is again. Happy Holidays everyone, and thank you so much for reading!! Here's an excerpt from my recently published book "Mixing And Mastering With T-RackS: The Official Guide. " In it, I cover the 3 main facets of preparing for a mix, the technical prep, the setup prep, and the physical prep. We covered the physical prep in a previous post, so here's the part about the technical preparation before a mix. Technical preparation is the most mundane of all the tasks. So mundane, in fact, that many A-listers either hire someone or have their assistant do all of this work. That being said, the technical prep may be the most important time you spend on some projects, because it’s where you tighten up the individual performances and take them to new level. The first thing is to make a copy of your session and label it in such a fashion that you can tell what it’s for. Something like “songname edits 4-4-11” or “songname voc comp” tells you exactly what’s happening at a glance. I like to put the date in the name as well. If you have multiple versions of the session in one day, I’ll differentiate one from another with letters of the alphabet at the end like “songname edits 4-4-11a”, “songname edits 4-4-11b” and so on. While you’re at it, make a copy of the session file on another hard drive, flash drive, online backup, or any place that you can easily grab it if for some reason you find the file you’re working on is suddenly corrupted. No matter how great the players on the session are, there’s always some portion of a player’s recording that doesn’t feel quite right. The exception being that you have enough time to have the musician play their part until it’s perfect, or you punch in all the suspect parts as you go along. Usually, the timing of the basic tracks will be tweaked right after your tracking session so you have a solid rhythm section to overdub against, but if you’ve not done that or you’re just now discovering some sections that don’t feel right (which happens a lot), prepare for the joys of slipping and sliding time. Of course, if you’re using loops or MIDI instruments, you’ve probably quantized things to the track by now. If you haven’t, now’s the time. Now is the time to clean up each individual track. While the noises might not sound too bad with the rest of the track, after everything is mixed and mastered you’d be surprised how something that was buried can come to the forefront. Also, by eliminating any extraneous noises, all the tracks magically sound distinct and uncluttered. Trim the heads and tails - Trim all the extra record time at the beginning and end of each track, regardless of whether it was recorded during basics or overdubs. Add a fade-in and fade-out to eliminate any edit noise. Crossfade your edits - One of the biggest problems for A-list mixers is when they get a session in that’s full of edits to make the track sound tight, but the edits click and pop because they don’t contain any cross-fades. Even if you can’t hear a click or pop, it’s a good practice to have a short cross-fade on every edit to eliminate the possibility of an unwanted noise (see Figure 1.3). Delete extra notes from Midi tracks - Delete any extra “split” notes that were mistakenly played. You might not hear them when all the instruments are playing, but just like the noise at the beginning of tracks, they have a tendency to come to the forefront after things get compressed. Comping shouldn’t be left for mixing as it’s something that’s normally taken care of directly after an overdub session for either the vocal, guitar or anything else that required multiple takes. That being said, if you still have some vocal or overdub comping to do, now’s the time. Inevitably there’s always a note that’s a bit sour and needs tuning. Whether you use Autotune, Elastic Audio, or any other pitch correction plug-in, make sure that the timing isn’t thrown off when the note is shortened or lengthened. Here's the isolated vocal track to one of my favorite songs, David Bowie's "Space Oddity. " The song was recorded in 1969 for the album of the same name, but it didn't become a hit in the US until 1972 after Bowie had already achieved some acclaim here. Although everyone connects this song with Bowie's famous backing band The Spiders From Mars, the players on this recording were different. They included Mick Wayne on lead guitar, Herbie Flowers on bass (who would go on to play the famous dueling bass part on Lou Reed's "Take A Walk On The Wild Side, ") Terry Cox on drums, and pre-Yes Rick Wakeman on Mellotron and piano. Tony Visconti produced the album but felt the single was a gimmick, so he handed it off to protege Gus Dudgeon (who went on to great fame as Elton John's producer for his big albums like "Goodbye Yellow Brick Road "). Here are some things to listen for. 1) Although the vocal doesn't start until about 40 seconds in, you can hear David make the sort of mouth noises that every vocalist does from time to time when bored. 2) There's a slight crack in his voice at the end of the first verse, which is probably the type of thing that wouldn't get by today without being replaced. That being said, the vocal is performed well and is remarkably in tune. Engineer/producer Ken Scott, who produced the next 4 Bowie albums after this one (including the exquisite "The Rise And Fall Of Ziggy Stardust And The Spiders From Mars "), recently told me that over the course of 4 albums, every vocal that David recorded was a first take except for one that he intentionally wanted to sing the chorus a little differently. Remarkable! 3) This isn't what you'd call a "pristine" vocal sound, as it has a lot of fur (distortion) around around it as he begins to get loud. You can hear the compressor working as well. 4) If you listen closely, there's a bit of what sounds like print-through on the 3rd verse. Print-through is a phenomena of magnetic tape where a layers imprint magnetic information to adjacent layers. As a result, you get an echo-like effect with the print-through vocal occurring sometimes even before the main recorded vocal. This effect can be heard most famously on the bridge of Led Zeppelin's "Whole Lotta Love. " Don Van Vliet AKA Captain Beefheart left the building the other day. He'd actually left music a long while back, choosing to become one of the century's most influential painters instead. That being said, Beefheart was the most influential musician many of you have never heard of, directly influencing punk, new wave, grunge and avant garde with a style so unique as to be indescribable. His music started as traditional blues, but Don quickly decided to go beyond the form, taking it just as far outside as John Coltrane and Ornette Coleman ever did in their most adventuresome periods. 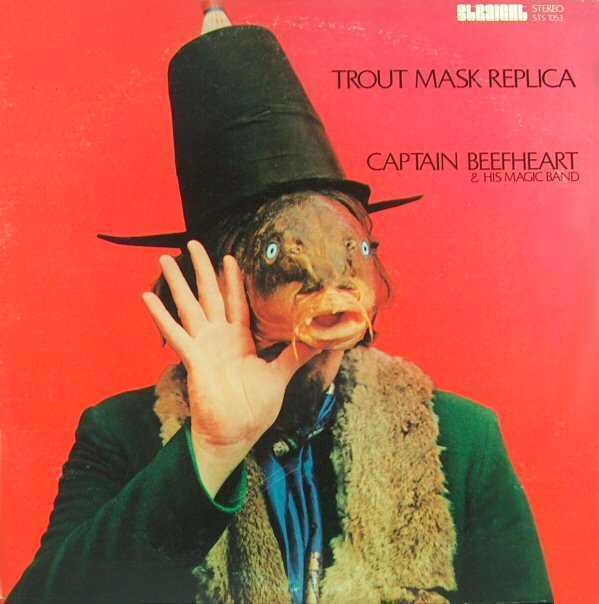 Trout Mask Replica (the cover can be seen on the left) was perhaps his best known and loved album, and it sounded so wrong and off center on first listening that you just couldn't believe that there was anything musically redeeming in its grooves. But each listen opened up a new layer of brilliance until you couldn't get enough of it or the man who made it, if you gave the album half a chance in the first place. With that in mind, here are Captain Beefheart's 10 Commandments Of Guitar Playing from beefheart.com, followed by the first part of a brilliant documentary on the man that says much more about the man better than I could ever write it. "Though they bear numbers, they are not arranged heirarchically — each Commandment has equal import." 9. Keep your guitar in a dark placeWhen you're not playing your guitar, cover it and keep it in a dark place. If you don't play your guitar for more than a day, be sure you put a saucer of water in with it. This sound advice can be found in the book Rolling Stone's Alt-Rock-A-Rama (1996). One of the things that I learned early in my musical life as a guitar player is the role that dynamics play in how tight a band sounds. A band that plays dynamically will never be told it's too loud. Even if the playing is sloppy, playing dynamically makes the band seem tighter than it really is, and bigger than life as well. 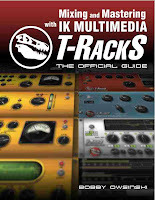 This applies to both recording and playing live, so I included sections on dynamics in two of my books - How To Make Your Band Sound Great and The Music Producer's Handbook. Here's an excerpt that explains how to play dynamically. If you learn only one thing from this book and DVD it’s that playing with dynamics is the greatest key to making your band sound great. It’s an improvement that both you (the band) and your audience will notice immediately, and will automatically separate you from about 90% of other bands on the planet. So what are dynamics? Simply, it means playing quietly or with less intensity in certain places in a song, and louder or with more intensity in other places. Most bands are oblivious to dynamics and play at one volume throughout the entire song, song after song, set after set. This gets boring and tedious for the audience very quickly. Playing with dynamics means playing with less intensity in certain places in a song, and louder or with more intensity in other places. Most bands are oblivious to dynamics and play at one volume throughout the entire song (or all the songs, for that matter), which can get boring for the listener very quickly. Generally speaking, here’s how you do it. • When the song begins, the band plays fairly loudly, about 7 or 8 on a scale of 1 to 10. • When the vocal or lead instrument (if the group is instrumental) comes in at the verse, the band drops down to about 4 or 5. • When the chorus comes in, the volume level comes back up to a 7 or 8. • When the 2nd verse begins, the band drops down to a 5 or 6 level (notice it’s a little louder than the first verse, but not as loud as the chorus). • When the 2nd chorus begins, the band comes back up to a 7 or 8. • When the bridge, or whatever section is the peak of the song, the band comes all the way up to 9 or 10. • The band drops down to 7 or 8 for the outro of the song. • If the song has a breakdown, the level might come down as low as a 1 or 2. While the level of intensity (and as a result, volume level) may change from the numbers indicated above for each song and depending on what finally feels the best, that’s basically how it’s done. If the band plays the song dynamically, the song breathes volume-wise. Going from loud to quiet or quiet to loud is called “tension and release” and it’s a basic quality of all art forms (in painting it would be dark to light colors, photography it would be light to shadows, etc.). Tension and release keeps things interesting. When you play loudly, play as loudly as you can. When you play softly, play as softly as you can. There are a few byproducts from playing dynamically too. The vocals can be heard easier because there’s more space and fewer loud instruments to fight against (easier on the singer’s throat as well). Songs become more fun to play because there’s true interaction with the other players to make it work, and as a result, the band automatically gets tighter. For a really great example of dynamics, listen to Smells Like Team Spirit by Nirvana where the verses are at about a 5, the pre-chorus at 7 and the chorus just roar at 10. • When the band is going over a song, treat the dynamics as an integral part of the song (because they are) and spend as much time learning them the same way that you would with the chord changes and groove. As shown above, map out each section of the song on a loudness scale of 1 to 10, with 10 being the loudest. • Now the next step is the most important - make sure that each band member agrees on how loud or quiet each dynamic number is. In other words, be sure that the drummer’s 8 level is the same as the rhythm guitar player’s, and the 2 level of the bass player is the same as the lead guitarist. After that’s commonly agreed upon, rehearse the dynamics of a song until they’re second nature, then watch the audience take notice. A common complaint from a band that’s being taught dynamics is, “The song just doesn’t drive when we play the verse (or any other section) quietly.” That’s because it’s easy to confuse volume level with intensity. Most bands tend to get sloppier the softer or less intense they play. They begin to play the individual beats at slightly different levels and even have slight tempo variations between beats. As a result, playing softly sounds wimpy. Another thing that happens is that the band is so used to playing at one (usually loud) level, that anything compared to that level sounds so different that it’s perceived as less exciting. The same thing happens when you drive your car at 80 MPH for a long time. When you bring it back to 65, it feels like it’s going slow even though it’s still going pretty darn fast. And finally, the internal dynamics of each individual player usually go out the window. Instead of playing crisp yet quiet with the same attack and releases (covered later in the chapter) as at the higher volume level, the attack and releases get relaxed so the playing becomes less precise. So the real trick is learning to actually play with the same intensity at lower levels. Make sure the tempo is even, the groove stays the same as at the higher volume, and the attacks and releases are crisp and you should sound powerful at any volume level.